StrongView – Offers a great source for Marketing to Gen Z – Yes, those youngsters will be all grown up and have buying power and how they are different from everyone in the past. Generation Z, those presently under the age of 18 and have never lived in a world without digital technology. Gen Z expects brands to anticipate their needs through technology. Marketers need to be able to keep up! The main reason why the Gen Z (also known as iGeneration) is the talk of the (marketing) town right now is simple: They’re throwing a major curveball to proven marketing strategies! What’s working for other generations appears not to be working for Generation Z! Estimated at 60 million members, Generation Z outnumbers Millennials by at least a million people. They currently represent a quarter of the U.S. population. And a recent J. Walter Thompson trends report estimates that they currently hold $44 billion in annual purchasing power in the U.S. alone. That makes Centennials the holy grail of marketers everywhere. Experts caution, however, that businesses attempting to tap into Generation Z will have to do so with exceptionally pithy advertising. This is a generation accustomed to emojis, hashtags and six-second Vine videos. So, if businesses cannot communicate the big picture in just a few words, they will have lost the attention of their desired audience. Marketing to Millennials -Engage the generation of visual buyers. Cott is one of the world’s largest producers of beverages on behalf of retailers, brand owners and distributors, and has one of the broadest home and office bottled water and office coffee service distribution networks in the United States, with the ability to service approximately 90 percent of U.S. households, as well as national, regional and local offices. Cott produces multiple types of beverages in a variety of packaging formats and sizes, including carbonated soft drinks, 100% shelf stable juice and juice-based products, clear, still and sparkling flavored waters, energy drinks and shots, sports drinks, new age beverages, ready-to-drink teas, beverage concentrates, liquid enhancers and freezables and ready-to-drink alcoholic beverages, as well as hot chocolate, coffee, malt drinks, creamers/whiteners and cereals. Cott’s large manufacturing footprint, broad distribution network, substantial research and development capability and high-level of quality and customer service enables Cott to offer its customers a strong value-added proposition of low cost, high quality products and services. In addition, Cott is now a national direct-to-consumer provider of bottled water, office coffee and water filtration services offering a comprehensive portfolio of beverage products, equipment and supplies to approximately 1.5 million customer locations through its network of over 200 sales and distribution facilities and daily operation of over 2,100 routes. Revenue increased 41% to $756 million ($776 million excluding the impact of foreign exchange) compared to $535 million. Gross profit increased 234% to $233 million compared to $70 million, which resulted in gross profit as a percentage of revenue of 30.8% compared to 13.0%. Adjusted EBITDA increased 103% to $95 million ($98 million excluding the impact of foreign exchange) compared to $47 million. Reported EBITDA increased 114% to $86 million compared to $40 million. Reported free cash flow increased 28% to $64 million, reflecting $92 million of net cash provided by operating activities less $28 million of capital expenditures. Adjusted free cash flow increased 29%. Cott continued to focus on its strategic priorities designed to build long-term shareowner value. DS Services completed the acquisitions of two home and office delivery (“HOD”) water businesses towards the end of the quarter, which together are expected to generate approximately $9 million in annual revenues. Three additional Asset Purchase Agreements have been signed for the acquisition of small HOD businesses with expected combined revenues of over $1 million per year. The acquisitions, which are subject to customary closing conditions, are expected to close in the fourth quarter of 2015 or first quarter of 2016.
of Pumpkin Spice coffee is everywhere. Fast food establishments have know this secret for awhile. it’s a must in your vending business. Below is a recent article from C-Store Decisions and you can only guess where I am going with featuring it. Two ways to save on expenses Labor and Inventory. That is why VendaCarts – Mobile Retail C-Store is perfect especially when it takes only 1 person to operate a successful business. C-Store Decisions is my go to location for the latest facts, stats and new ways to make money with convenience stores. Other than fuel, our VendaCarts – Mobile Retail C-Store can just about sell most items that a c-store would. The two largest expenses a convenience retailer often faces are labor and inventory, but costs can creep up anywhere. Experienced c-stores, however, have learned how to combat such costs. It is a truism in business that you cannot save your way to prosperity. Somebody probably also said once that containing operating costs will allow you to operate another day. Probably many convenience store operators will attest that containing operating expenses must always be part of any well-rounded strategy. The two largest expenses a c-store often faces are labor and inventory. Cutting either category—especially when adding foodservice or other programs—requires careful upfront planning. Along with search, email marketing remains one of the most tried-and-true tactics for retailers. Growing mobile usage among consumers, as well as the ability to better segment or personalize messages, are creating new possibilities for gradually improving its effectiveness. In todays market every business knows to get your customers email address. Social media is here to stay and to benefits from the unlimited marketing potential begin today by taking advantages of email blast for upcoming sales, new merchandise or just to say HI. Email Marketing needs to be in the forefront of your marketing plan. Even though many are calling email marketing old fashioned and ineffective, it is still one of the top sources for lead nurturing and management. Consumers enjoy receiving emails. And at least 91% of consumers check their email everyday. Which makes email the leading communication channel. Everything from the content within the body of the email to the length of your subject line to the ratio of pictures to text can effect the open and click through rates of your messages. CStore Decisions highlights the market for Hispanic and importance of attracting this diverse population . Before convenience stores can effectively attract more Hispanic customers, they have to strive for cultural competence. This only happens through due diligence and time. By Sylvia Meléndez Klinger and Kate Brogan, Hispanic Food Communications Inc. There are more than 55 million Hispanic consumers in the U.S. today, and the Hispanic population is expected to double by 2050. According to Nielsen, Hispanics represent $1.5 trillion in buying power in 2015, an astonishing 50% increase since 2010. This is great news for convenience retailers—especially c-stores that offer diverse foodservice programs. That’s because Hispanics spend a higher percentage of income on food compared to the U.S. population as a whole. 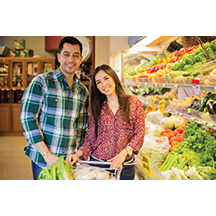 Attracting and keeping Hispanic consumers is a smart growth strategy for c-store retailers. Successful marketing involves recognizing the diversity among Hispanics based on country of origin and level of acculturation, or the process of adapting to a new culture. The Hispanic segment isn’t homogenous, so be careful not to generalize in your marketing plan. In the past, Hispanic marketing focused on language and translation of promotions into Spanish. This is a helpful first step, but truly effective marketing involves understanding regional differences between Hispanic subgroups that set them apart, not only in their food choices, but also in how they prepare their food every day. Foods and flavors that are popular in Mexico may not appeal to Dominican or Puerto Rican consumers. Store managers should understand the origins of their Hispanic consumers and offer product mixes that appeal to regional tastes. Despite regional differences, Hispanics often share core cultural values. Many retain core elements of the traditional Hispanic diet, with its heavy reliance on grains and beans as well as fruits and vegetables. Family life has traditionally occupied a pivotal place in Hispanic culture, which has influenced dietary behaviors: Hispanics value home cooking and family meals more highly than other ethnic groups. Also, the contemporary diet of Hispanics is heavily influenced by their adopted communities. Hispanics who have lived in the U.S. for several generations are more likely to blend popular American foods with traditional Hispanic choices than more recent immigrants. Get to know your customers. Get to know your Hispanic community in your area. What is the dominant subgroup? Nearly 65% of Hispanics have origins in Mexico, followed by Puerto Rico, El Salvador, Cuba and the Dominican Republic. Hispanics who were born outside the U.S. are more likely to retain the tastes and traditions of their home country than later generations. What is the prevalent socioeconomic situation? A deeper understanding of who your Hispanic consumer is lets you tailor your products and services more accurately. Provide cultural relevant messages. Create culturally relevant messages that resonate with Hispanics. For example, provide signs or promotional materials written specifically with Hispanics in mind, rather than a literal translation of English materials. Reference culturally relevant food items they eat frequently, classic recipes and messages that move their hearts. Embrace their culture—watch Spanish TV, read their magazines, read and use their favorite cookbooks. And, it doesn’t hurt to learn a little Spanish to make them feel special and accepted. Respond to valued meal traditions. Since home-cooked meals are valued by Hispanic families, offer convenience foods that can become part of a home-cooked meal such as packaged sliced fresh vegetables or fruits, shredded cheese or cooked chicken. Herbs, spices or seasoning blends also appeal to the home cook. These products allow Hispanic consumers to maintain their meal traditions with ease. Build trust. Acknowledge and embrace cultural nuances and differences. Build trust by customizing messages and acknowledging challenges that many Hispanic consumers face such as lack of transportation, not being fluent in English or having trouble finding familiar food staples. Learn about your customers’ diets and food habits so you can stock items that are commonly used in their diets. Hispanics are known for their brand loyalty, so ask customers which brands they prefer and try to stock products accordingly. These actions demonstrate respect for customers and help build trust. Create a gathering area. Many Hispanics enjoy eating together with family and friends. Offer a seating area with a few chairs and tables. This welcoming gesture builds a sense of community and will keep Hispanic consumers coming back to your c-store. Offer a variety of Hispanic foods. When planning inventory, include food items that reflect Hispanic consumers’ country of origin. Fresh foods such as fruits and vegetables are particularly popular with Hispanic consumers. Items that are considered healthy entrée options, such as chicken, are also popular. For example, a variety of cold beverages from different countries, such as horchata, are sought by Puerto Ricans and Cubans, or agua fresca de Jamaica, sweet breads (pan dulce) and gelatins (gelatinas) can be great options for Mexican patrons. Also, carry favorite items prepared by local Hispanic vendors, such as tamales or burritos. Connect on a personal level. Provide superb personal service that is unmatched by any competitor and respect your customer regardless of their color and socioeconomic status. You can build trust by engaging with customers every day and getting to know their needs and wants to keep them coming back. Be patient. If Hispanics resist initial marketing efforts, it is probably because they are still building trust with you. Be persistent and continue to develop those cultural values that are important to Hispanic consumers. Get creative when offering new food items: keep new items visible and let Hispanic consumers know you are stocking favorite items that they requested. Go the extra mile to cater to their needs. Ask for feedback. Encourage your Hispanic customers to provide feedback frequently and make sure to respond promptly. Actions speak louder than words. The growing Hispanic market is evolving, and your ability to understand your local consumers can set you apart from the competition. If you are able to address the needs and wants of Hispanic consumers successfully, you can increase your share of a growing and valuable market segment.